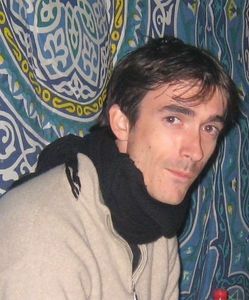 Damien Feron-Cordier is a French researcher, co-author of "Bizerte Hostage of the history ... From the second World War to the Independence of the Maghreb". 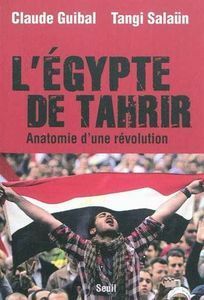 How do you see the Arab revolutions in general and the Egyptian revolution in particular? 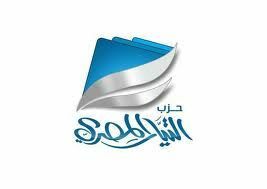 I think the Egyptians, Tunisians and Libyans can be proud of their accomplishments and have only to welcome this breath of freedom. Now all the cards are on the table, but the challenges are many. We can only hope that all parties play the game and that these countries can once again move forward as quickly and peacefully as possible. My thoughts are with those who paid and still pay with their lives in this struggle throughout the Arab world. You have lived three years in Egypt. How do you see the cultural life of Egypt before and after January 25th, 2011? The cultural milieu in Egypt has always played a major role in the fight for freedom, then during the Egyptian revolution. In Tahrir Square, where were so many scenes of violence were also the site of a great intellectual and artistic profusion that does honor to the Egyptians. Greater freedom of expression can only benefit from the revolution. Why talking about the crisis in Bizerte? For Sébastien Abis and myself, the meeting with the Bizerte crisis has been there for over 10 years, almost by accident when we were young researchers in history. This is a very complex problem that falls within political, diplomatic, strategic, military and geographical. The most exciting in this issue is that is almost unknown in France. In Tunisia, this crisis is of course still very painful and subject for heated debate. Finally, if this crisis is related to the war in Algeria, it belies the myth of a peaceful decolonization of Tunisia. Why publish this book now? you want to invest the Tunisian revolution? Certainly not. We started working on the book long before the revolution. Our goal was to publish it for the 50th anniversary of the battle in July 2011. 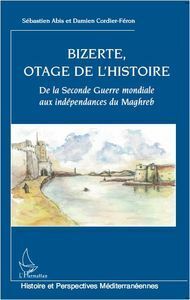 My research had focused on the history of the French military base in Bizerte as it is. While Sébastien Abis had already published a book on diplomatic history and political crisis. Our approach has been to share our work. It really is the originality of the work. For the first time, the history of the base and what France and NATO have built is published. The history of the base is not separated from these dramatic events. it's fundamental to understanding the crisis. Concerning the revolution Tunisian our purpose was to remind that the independence of Tunisia was not effected in 1956, but in 1963 when France finally evacuated Bizerte. It happens that in 2011 Tunisia has also turned a new page in its history. Is it an effort on your part to apologize instead of France? Not at all. We refer not responsible. It is for the reader to form an opinion. In this book, we wanted to defuse the issue of Bizerte and try to explain the crisis in all its complexity. That is why the book starts in 1943. Our work was conducted in an academic approach of historians and hopefully without bias. We do not designate responsible, only the responsibilities of both sides of. We present the facts and try to explain how and why France and Tunisia came to compete in a brief but extremely bloody battle.